In recent years, economic liberalisation, improved transport and communication systems, and the global demand for energy, minerals and agricultural commodities have fostered investment in agriculture, mining and petroleum projects in many poorer countries. For some commentators, this trend provides new opportunities to promote growth, generate public revenues and create employment in countries that have limited alternative development options. Similarly, investors often emphasise benefits like job creation and social infrastructure development, partly as a way to promote local support for their operations. Other commentators stress the major risks involved in natural resource investments. For example, people may lose key livelihood assets like land, water and grazing, whilst environmental damage may have lasting effects on the resource base and repercussions on public health. Together with applicable national and international law, investor-state contracts define the terms of an investment project, and the way risks, costs and benefits are distributed. Who has the authority to sign the contract and through what process greatly influences the extent to which people can have their voices heard. Therefore, interrogating these contracts is an important mechanism to ground-test competing claims about natural resource investments (e.g., to what extent are job promises entrenched in legally binding commitments? ), to assess the extent to which opportunities are maximised and risks minimised, and to increase accountability in public decision-making. Of course, contract analysis is no replacement for empirical assessments of social, environmental and economic impacts: well negotiated contracts may be poorly implemented and produce disappointing results; conversely, an investment may improve livelihoods even if the contract is lacking, though a weak contract means that mechanisms to hold the investor to account are less effective. Sustainable development provides a useful lens to scrutinise investment contracts. In this perspective, for host countries attracting investment is not an end in itself, but a means to an end. The ultimate goal is to improve local livelihoods whilst protecting the environment. While many governments have made efforts to attract more investment, not all investment is good—the quality of the investment is as important as its quantity. Quality is assessed based on core characteristics of the investment, rather than corporate social responsibility programmes at the fringes. This involves a thorough scrutiny of the social, environmental and economic considerations at stake. 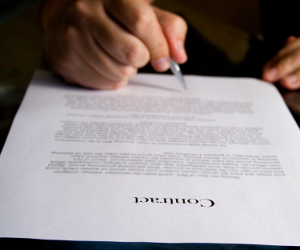 The contracting process—from negotiation through to contract management. A critical issue is the extent to which affected people have voice in decision making, and the public at large can hold governments and investors to account through transparency and public scrutiny. This aspect is linked to Principles 1 and 10 of the 1992 Rio Declaration on Environment and Development, which state that sustainable development entails putting people at the centre of the development process, and that sustainable development issues are best handled with the participation of all concerned citizens. The fairness of the economic deal between investor and host country, including contractual issues like revenue-sharing, capital contributions, income generation through employment and business links, technology transfer and infrastructure development. With regard to job creation, for example, key issues include: the specificity and enforceability of contractual provisions about job numbers and types (skilled/unskilled; temporary/permanent); and sliding scales whereby more skilled positions are gradually filled by local nationals, with training schedules to ensure that the necessary capacity is in place. The degree of integration of social and environmental considerations, for instance through impact assessments and applicable standards, and through the distribution of risks, costs and benefits within the host country. Indeed, even a deal that is economically beneficial to the country as a whole is bad news if social and environmental interests are not properly taken into account. This aspect involves minimising negative impacts on the environment and on people’s lives, for instance linked to land takings, water abstraction or resource degradation; and ensuring that economic benefits are distributed equitably and used for poverty reduction and broad-based development. The extent to which the balance between economic, social and environmental considerations can evolve over often long contract durations, for example as ill-designed stabilisation clauses that protect the ‘economic equilibrium’ of the contract may make it more difficult for host states to take action to improve social or environmental standards (an issue that is further discussed below). Sustainable development issues vary across different sectors. This is partly due to sectoral specificities. For example, while petroleum operations necessarily involve large-scale investment, in agriculture family farms have proved competitive in many parts of the world, and it should not be assumed that large-scale investment is the way to go. Diversity across sectors is also linked to differences in contractual practice. Revenues are typically crucial in extractive industry contracts, but some agriculture contracts involve no or little land fees—employment and infrastructure are seen as the main benefits, so the content and specificity of clauses regulating these issues is particularly important. A couple of examples can help illustrate the implications of using a sustainable development lens. The first concerns safeguards for local rights to land, water and natural resources. Some agricultural investments involve the taking of very large areas of land. Land takings can also occur in extractive industries. Takings can have devastating impacts on people who depend on natural resources for their livelihoods. Contracts may commit the government to make land available to the investor ‘free of any encumbrances’. Such provisions must be read in conjunction with applicable national law. In many poorer countries, the gap between legality (whereby the government may formally own the land and allocate it to investors) and legitimacy (whereby local people feel the land they have used for generations is theirs) exposes local groups to the risk of dispossession and investors to that of contestation. Also, protection of local rights is often weakened by productive use requirements (which undermine local claims to rangelands, hunting-gathering grounds or sacred sites); by wide powers of eminent domain (whereby investments are legislatively considered to be for a public purpose that enables expropriation of local rights); by weak compensation requirements (e.g. whereby compensation is limited to improvements like trees and crops, to the exclusion of land values); and by inadequate social impact or local consultation requirements. Contracts for irrigation agriculture may also grant the investor enforceable rights to the water needed. In times of water scarcity, these clauses may disadvantage local farmers. As contract durations can be very long, this risk is greater where climate change increases fluctuations in water availability. While some agriculture contracts require the investor to pay water fees, others do not. Lack of water fees can lead to waste and deprives the government of a revenue stream. Where local farmers pay water fees, free water rights constitute a subsidy to large-scale agriculture. From a sustainable development perspective, addressing these issues requires rethinking national law as much as contractual practice. Local landholders must have greater voice in contracting processes affecting their lives. They must also have stronger land rights—for instance through robust impact assessments, tighter public-purpose requirements, protection of rights irrespective of productive use, and compensation tied to restoration of local livelihoods. Where national law falls short, contracts can refer to international standards like those developed by the IFC—but this must be properly resourced and monitored to be effective. While much depends on context, proper water pricing and flexible water allocations according to fluctuating water supply are usually essential in meeting competing water demands. The second example concerns stabilisation clauses. While contractual practice is extremely diverse, stabilisation clauses usually commit the host government not to change the regulatory framework governing the investment (‘freezing clauses’), or to restore the economic equilibrium of the contract if regulatory change adversely affects the investment (‘economic equilibrium clauses’). Stabilisation clauses have received much public attention of late, including through the mandate of the UN Special Representative of the Secretary-General on Business and Human Rights. The mandate produced a landmark study on stabilisation clauses and human rights, and culminated earlier this year in the adoption, among other things, of ‘Principles for Responsible Contracts’ that specifically address the human rights issues raised by stabilisation clauses. Proponents argue that stabilisation clauses are primarily aimed at preventing arbitrary host state action that may adversely affect the project. Once most of the investment is made—e.g. after project infrastructure is constructed—the investor becomes vulnerable to arbitrary regulatory changes that may undermine the project, especially in countries where political risk is high. But if not properly formulated, stabilisation clauses may restrict the ability of the host state to improve social or environmental standards. The balancing of economic, social and environmental considerations required by sustainable development evolves, for example as social needs and sensitivities change, new hazards are discovered, or new technologies are developed that more effectively mitigate social and environmental risks. Many contracts have long durations, and social and environmental safeguards are currently weak in many poorer countries. Examples of regulatory changes that may adversely affect ongoing investments include carbon taxation to tackle climate change, the banning of hazardous chemicals, or more stringent requirements for land takings or local consultations. Where public finances are strained, an obligation to compensate investors for losses caused by these measures may make it more difficult for host governments to take action needed to protect people or the environment. Measures to bring stabilisation clauses in line with sustainable development involve using stabilisation clauses only when and to the extent they are genuinely needed to protect investment against arbitrary interference; favouring more flexible types of clauses that emphasise protecting the economic equilibrium and good-faith negotiation, rather than freezing the regulatory framework; and clearly defining the scope of stabilisation to ensure that non-discriminatory, bona fide action in social and environmental matters is not covered by the stabilisation clause. Ensuring that investment promotes sustainable development requires rethinking aspects of the legal frameworks that regulate investment—including investor-state contracts. And for sustainable development to matter, it must be fully reflected in those legal frameworks. This requires rethinking legal and contractual practice, as illustrated by the examples discussed here. It also requires strong capacity among negotiators, implementers and scrutinisers to translate new concepts into real change. Author: Lorenzo Cotula is a senior researcher in law and sustainable development at the International Institute for Environment and Development (IIED), where he steers work on investment. The article is based on two reports: Investment Contracts and Sustainable Development—How to Make Contracts for Fairer and More Sustainable Natural Resource Investments (http://pubs.iied.org/17507IIED.html); and Land Deals in Africa—What is in the Contracts? (http://pubs.iied.org/12568IIED.html).